Combat Winter Blues with Houseplants! 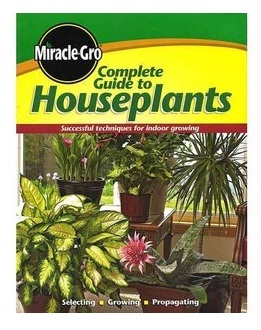 I have fond memories of houseplants growing up. My mom owned a "spider-plant" that hung above the easy chair. 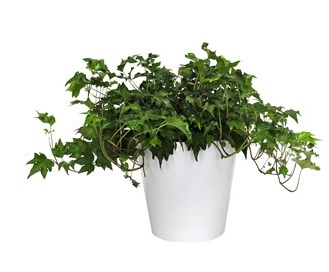 I remember having to water it frequently, and it lived for the duration of my time in my house. I also remember how, when I married my husband, he had several beautiful houseplants. Unfortunately, moving many times and my inattentiveness killed those. I was known as a "plant killer" from the very start of our marriage. We decided, after a particularly ho-hum winter, that this would be the year I tried houseplants again. After all, my husband is now working at home with me (so he can help), and we have a beautiful south-facing picture window with a built-in shelf that is perfect for setting plants on. We headed to Walmart and began our project. I also decided that it might be nice to grow some fresh herbs. The chickens had dug up my beautiful tomato and herb garden from Mother's Day, and I had been overpaying for fresh herbs ever since. Since Walmart offers a decent selection of basic plant supplies year-round, I could get seed packets and containers to get a head start on this spring's herb garden. It has been a couple weeks since we brought our plants home, and they are doing very well! I already had to repot a few -- they are growing so quickly. Also, we are seeing sprouts from the herb seeds we planted. 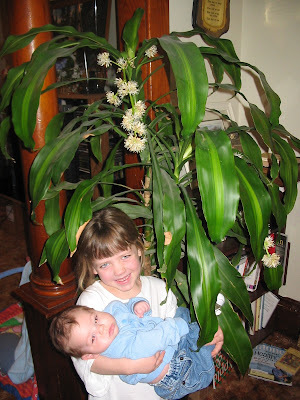 The kids are very excited, and they ask to help water the plants all the time. 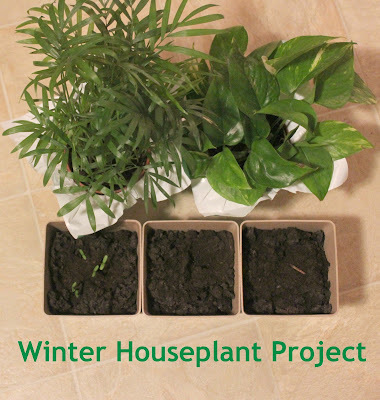 This houseplant project is an easy way to brighten up your home and give a preview to what spring will offer. I'm happy to have a second chance with my husband (when it comes to the plants) as well. I think I can keep these plants alive, and I look forward to accomplishing what I haven't been able to before.